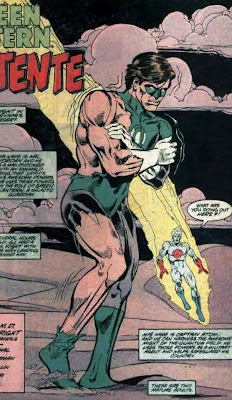 Here's Hal Jordan, showing some skin in Action Comics #631, coutesy of Vespa331. Hal got his clothes ripped off somehow. Poor Hal, he looks so cold.